The exhibition showcased large paintings produced by Indigenous artists, in the formative years of the now famous Papunya Tula Company of the 1970s-80s, the founders of the Western and Central Desert movement. Many of these large scale works on canvas had not been seen in Australia before. The exhibition was highly successful attracting double its anticipated visitor numbers. 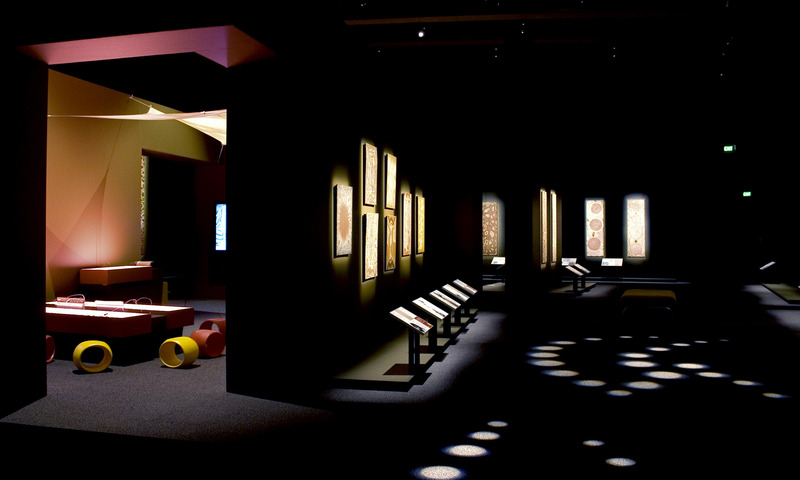 The design layout was intended to create glimpses of the artworks, forming a trail to draw the viewer in and though the exhibition. Canvases were displayed on the floor, as they were made, and juxtaposed with contemporary gallery displays of the works and supportive interpretive media. Focused lighting and a sensitive graphic approach created a dramatic visual experience that focused on the artworks, whilst also providing detailed interpretive information. The inclusion of an integrated kids trail, education space and interactive within the exhibition engaged a wide audience.